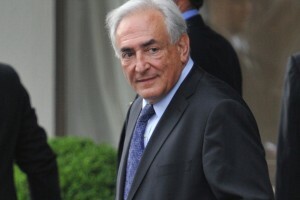 Was There Insider Trading on DSK News? A month ago, we ran a post featuring a handful of the latest odds on Intrade, including the chances (84% at the time) that Dominique Strauss-Kahn would be found guilty of at least one charge. Those odds have dropped below 10% in the last week, on the news that his accuser may have credibility issues. But when exactly did that price move start? Reader Chris Reed wrote in asking us to look into the possibility that there was insider trading in the prediction markets on the DSK news. The initial New York Times piece that broke the story that the DSK trial was on the verge of collapse was first posted online Thursday night, June 30, before appearing on the front page of Friday’s paper. The Times doesn’t time-stamp its articles, but the Huffington Post does. Their story linking to the Times piece is time-stamped 9:38 PM ET. But how fine-tuned is InTrade’s closing-price chart? Let’s go one step further — to InTrade’s time and sales chart on the same trade. It shows that the initial price drop is time-stamped at exactly 9:38 PM on June 30. Sorry to disappoint. There certainly has been a lot of insider trading going around. But as for the DSK news, it appears to be nothing more than the (highly) efficient transfer of information to the markets. Is Intrade covered by the SEC? In other words, if there was evidence of insider trading, would it be illegal? Isn't what you're calling "insider trading" the only thing that can possibly make InTrade at all useful -- the idea that people who actually know something can make the knowledge useful by putting it into a market, which then signals that knowledge? The first plot only shows one point per day (the closing price) and then connects the dots. It is useless to determine when the price actually started falling relative the NYT article.